Washington PostWhite House announces no specific action and does not immediately lay blame. 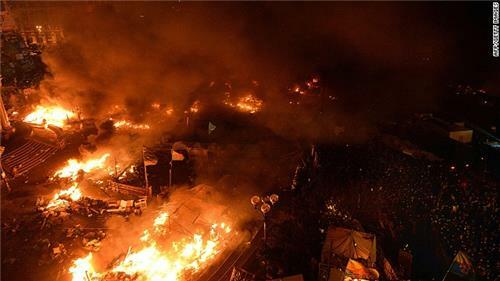 CNNA violent showdown appeared likely in Ukraine after new clashes left 19 people dead and parts of the capital afire. 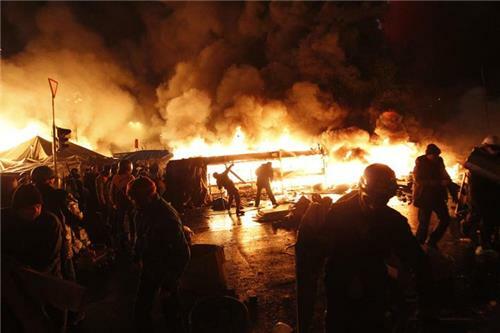 Ukrainian riot police advanced on Tuesday onto a central Kiev square occupied by protesters, after at least 14 people died in the worst day of violence since demonstrations erupted against President Viktor Yanukovich 12 weeks ago. 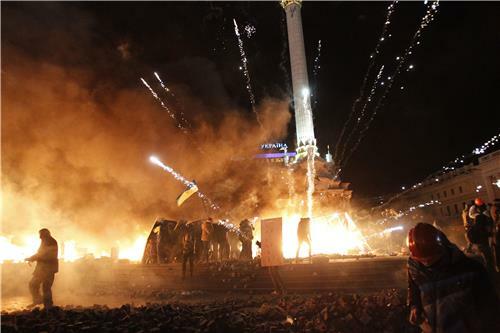 Protesters on Independence Square responded with petrol bombs, fireworks and stones, as police moved slowly forward, hours after the state security service had set a deadline for the demonstrators to end disorder or face "tough measures". My question: what prompted Kerry to make a statement today? Kerry: the US will push harder for humanitarian access. Accused the government of "playing games" with aid convoys. Secretary Kerry urged the Syrian opposition to vote in favor of attending peace talks next week. U.S. will continue to push for "vital access" to bring Syrians humanitarian assistance, especially in areas where envoys have not reached people in need because of purposeful delays, Kerry says. The process of removing Syria’s most critical chemical weapons material outside of the country for destruction began on Tuesday, the head of the Joint Mission of the Organisation for the Prohibition of Chemical Weapons (OPCW) and the United Nations confirmed. 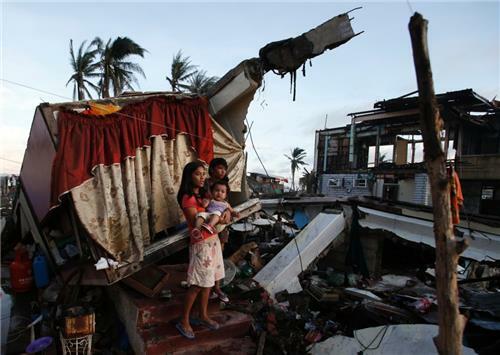 Mafias have preyed on survivors of Typhoon Haiyan who moved to Manila and Cebu after the disaster, selling them into prostitution and modern day slavery, according to a bishop in the Philippines. “During disaster situations (like Haiyan), a lot of people are desperate to look for work, shelter, and education, among other things. These particular vulnerabilities are the usual things offered to them by exploiters,” Bishop Broderick Pabillo told the Devex news service. Pabillo, convenor of the Philippines’ Interfaith Movement Against Human Trafficking and Manila’s auxiliary bishop, said he hoped the Haiyan disaster could spur greater efforts to tackle the problem. He urged the aid community to raise better awareness of the different forms and causes of human trafficking and help the country improve rehabilitation services for victims. The bishop also called for Philippine courts to do a better job of prosecuting trafficking cases in order to deter criminal gangs. Read more here. 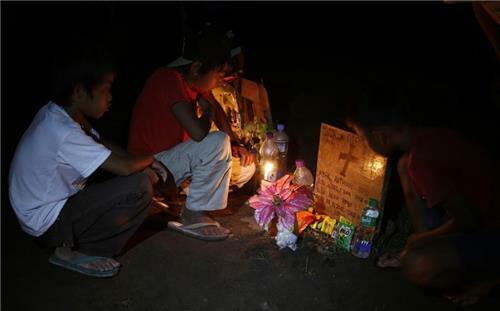 "Seeing the corpses lining the road from the airport to Tacloban city was unpleasant. Seeing the devastation of the storm on Tacloban and other cities was distressing. Yet it was meeting survivors like Rene, Ophelia and Ricael Ebar that touched me most and left the biggest impression on me. It has also led me to make a New Year resolution that for once I know I won’t break - to cover their recovery throughout the year and to make sure, as much as my journalistic skills enable me to, that funds reach those who need it most." 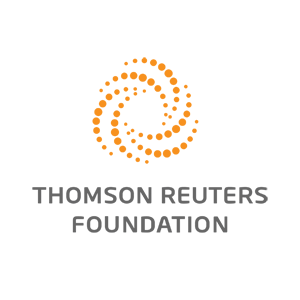 Thomson Reuters Foundation correspondent Thin Lei Win reflects on her coverage of typhoon Haiyan. Across the centre of the mostly Catholic Philippines, people are scraping together whatever they can to celebrate Christmas, nearly seven weeks after the storm. Some are struggling to cope with their grief. 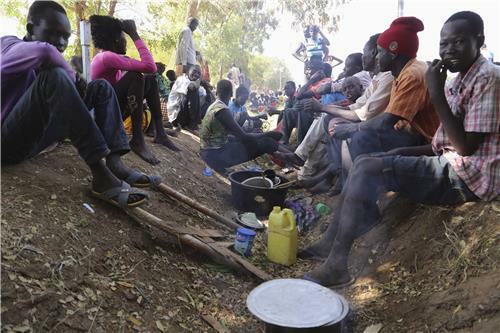 The U.S. State Department and British officials announced today that they were coordinating evacuation flights for their respective citizens based in South Sudan, as fighting between rival factions of the two-year-old nation's military expands beyond the capital city Juba. The conflict has claimed as many as 500 lives since Sunday, according to United Nations figures provided to Reuters. 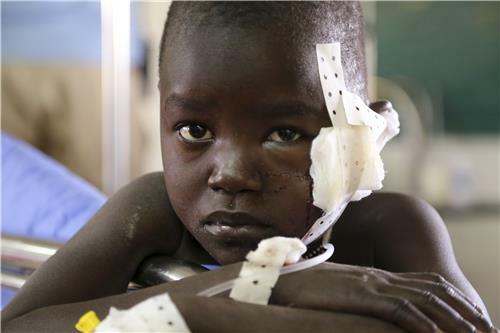 But different accounts of the violence have emerged in the past day, according to our latest dispatch from Juba, with at least one source disputing the extent to which fighting has affected the nearby town of Bor. What is clear though, from Reuters reports and other publications, is how crucial the rivalry between South Sudanese President Salva Kiir and the erstwhile Vice President Riek Machar is to this conflict. Kiir dismissed Machar from his post last summer, and the two men of rival ethnic groups appear deadlocked in an escalating dispute over South Sudan’s leadership. 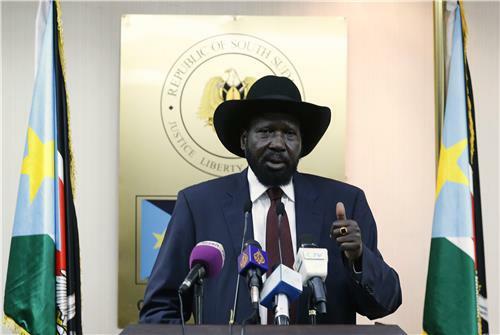 Kiir claims that the current violence amounts to a coup attempt on Machar’s part, something the latter has denied. "For his SPLM [Sudan People’s Liberation Movement] critics, Mr. Machar was becoming too powerful - and President Salva Kiir sacked him from the government in July this year without giving a clear reason. "Mr. Machar responded by saying that he intended to challenge Mr. Kiir for the leadership of the ruling SPLM party so that he could run for president in the 2015 election… Mr. Kiir denounced him as a 'prophet of doom', continuing his actions of the past - an apparent reference to the fact that he had challenged the authority of Mr. [John] Garang, the SPLM's founding leader, in the early 1990s." The Telegraph noted that “questions were immediately asked whether there was a genuine coup attempt” on Machar’s part when violence first broke out, or whether Kiir’s claims amounted to political maneuvering – making this perhaps the latest chapter in the pair’s ongoing one-upsmanship. "President Salva Kiir says he is willing to have a dialogue with his political rival Riek Machar he is trying to chase… But on the local radio he was still using hostile language towards Riek Machar stating that his rival 'has lost his chance to be president because he has caused this war.'" Russia signaled it was about to agree a loan deal with Ukraine to help its indebted neighbor stave off economic chaos and keep it in its former Soviet master's orbit. The opposition is planning a rally for Tuesday against President Yanukovich's support to sell national interests to Russia after he backed away from a deal with the European Union that would have shifted the country westwards. 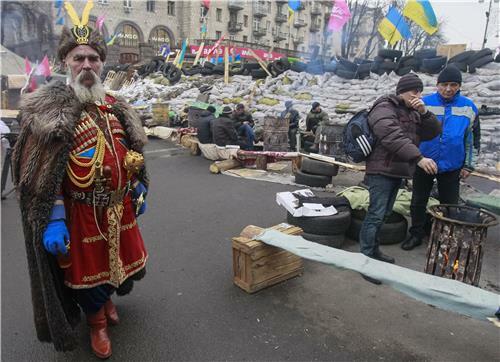 An aide to Russian President Vladimir Putin suggested a credit would be agreed at talks with Yanukovich on Tuesday. 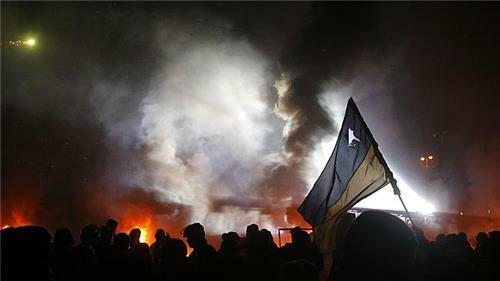 Video: Initially, Ukraine's demonstrators protested over President Viktor Yanukovych's decision to pull out of a deal that would bring Ukraine closer to joining the European Union. 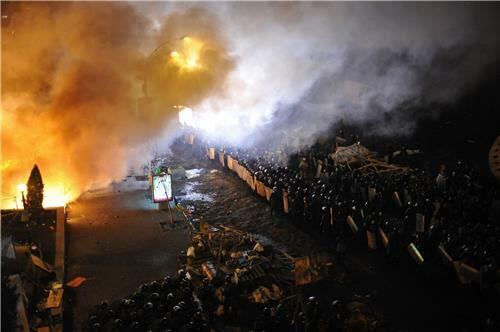 After a police crackdown, protests are focusing on toppling the offending powers in government and addressing corruption. Video and reporting by Tim Pool, VICE. "Our requests for additional information which could prove the Syrian government involvement in the use of chemical weapons were ignored by Washington," Russian U.N. Ambassador Vitaly Churkin told reporters after a closed-door meeting on chief U.N. chemical arms investigator Ake Sellstrom's final report. Churkin said allegations about Syrian government involvement in chemical attacks, including an Aug. 21 sarin gas attack that killed hundreds of people, "were not persuasive." He added that Moscow viewed the Aug. 21 incident as a massive provocation by rebels aiming to oust President Bashar al-Assad. The United Nations appealed for a record $6.5 billion for Syria and its neighbors to help 16 million people, many hungry or homeless victims of a conflict that has lasted 33 months. It is months since convoys from the United Nations and other agencies have delivered food or medical care to many areas in Syria, prevented by the government, which is accused of using hunger as a weapon of war. As the United Nations launches an annual appeal on Monday for funds to help more than 9 million Syrians who need aid, divisions among world powers that have crippled peacemaking are also denying U.N. staff the power to defy President Bashar al-Assad's officials and push into neighborhoods now under siege. Central African Republic's interim leader is weighing a possible amnesty for militias involved in Christian-Muslim violence that has killed hundreds of people, most of them civilians, in exchange for their disarmament. France on Monday criticized the dismissal of three ministers by the interim leader of the Central African Republic as having broken the agreement on how the transitional government would work and said the move could trigger sanctions. Michel Djotodia, in charge of the former French colony since seizing power in March, dismissed three members of his government this weekend following a wave of Muslim-Christian clashes which have left hundreds dead. Djotodia has lost control of his former fighters, whose abuses have sparked the creation of Christian militia forces. 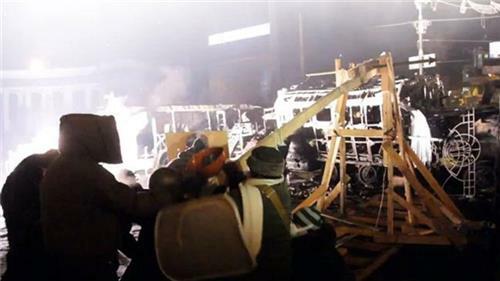 Under the terms of a U.N. resolution on Dec. 5, France has deployed 1,600 troops to try to stop the violence. "France is concerned by the dismissal of three ministers ... without the sign-off of the Prime Minister," as agreed in a pact signed in January, the foreign ministry's deputy spokesman, Vincent Floreani, said in a statement. Djotodia had said he would respect the terms of the January agreement signed in Gabon's capital Libreville by rebels, civil society and then-President Francois Bozize that laid out the framework for a transitional government. Floreani said the move could be seen to be likely to cause more instability, which under the terms of the U.N. resolution was grounds for sanctions to be applied. The transition period for CAR, a diamond-rich landlocked country with a history of instability since independence in 1960, was originally set to last until 2015. Paris is now seeking earlier elections, however. 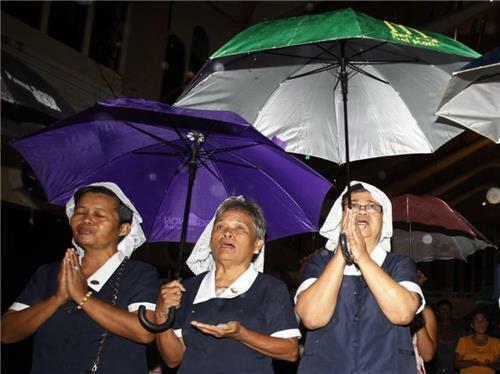 Thousands of survivors of super typhoon Haiyan walked in darkness towards damaged churches in central Philippines at the start of Christmas vigil dawn masses on Monday, clinging to their faith as they struggle to piece together shattered lives. Haiyan reduced almost everything in its path to rubble when it swept ashore in the central Philippines on Nov. 8, killing at least 6,069 people, leaving 1,779 missing and 4 million either homeless or with damaged homes. 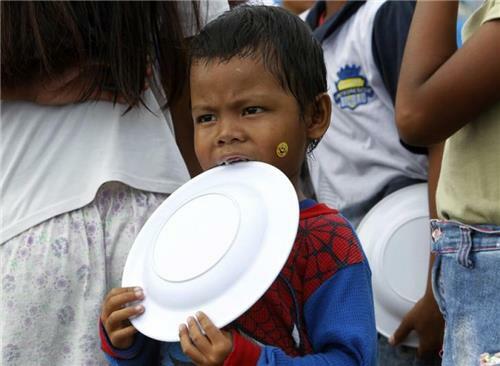 More than 50 aid organisations including the United Nations launch a $791 million strategic response plan to assist 3 million people in central Philippines who were affected by Super Typhoon Haiyan. The strategic response plan will provide 3 million survivors with direct assistance including food, shelter and water and sanitation services. University of Michigan critical care nurse Tim Launius has spent the past week putting on medical clinics in different regions of northern Panay - helping to treat about one thousand people so far. “A lot of people are stepping on things and cutting their feet – so I’ve dressed a lot of wounds, I think I’ve given more tetanus shots in the last week than I have in the previous 13 years of my career,” he noted. Dulag is a city in ruins. Four of every five houses are damaged; people drowned when the sea surged through the town; livestock, crops, livelihoods—all destroyed in an instant. So why is Dulag a hive of busy activity and not a place of mourning? Why are people laughing in the streets today? Andrew Robinson, Medair's field communications officer, blogs about "the remarkable spirit of the Philippines"
Over the coming three months, the International Committee of the Red Cross said it and the Philippine Red Cross will provide 67,000 people with drinking water and around 63,000 people with emergency health care in Eastern Samar, one of the areas hardest-hit by the super typhoon. "People already living in dire poverty have seen their crops and livelihoods destroyed, while water networks and health facilities have been severely affected. These communities will need a lot of help in the coming months and beyond to rebuild their lives," said Vincent Cassard, who is coordinating the ICRC's response to Typhoon Haiyan in Manila. "We will keep distributing food to affected communities along the south coast of Samar as long as needed, but we plan to help people get back on their feet through sustainable sources of income." Prior to Typhoon Haiyan, the Philippines had already been grappling with the impacts of two natural disasters and a conflict, but the typhoon is overshadowing other aid efforts. Aid agencies are urging donors and the media not to forget the humanitarian needs of the tens of thousands of families who remain displaced in two other emergencies in the Philippines, reports our correspondent Thin Lei Win (@thinink). While Filipino lawmakers have been embroiled in a scandal over widely misused fund for their pet projects, news website Rappler.com writes that maybe not all "pork" is bad, if channelled to disaster mitigation projects. Read the story here. From Haiti to Libya to the Philippines, U.N. OCHA's Andrej Verity has been connecting geeks with bleeding hearts on the humanitarian frontline to map emergencies and streamline the flow of information during crises - bringing two very different worlds together through the use of technology to support humanitarian response, our correspondent Katy Migiro reports.